A damaged steering head bearing is not going to fix itself. It will only get worse over time, making riding both difficult and dangerous. 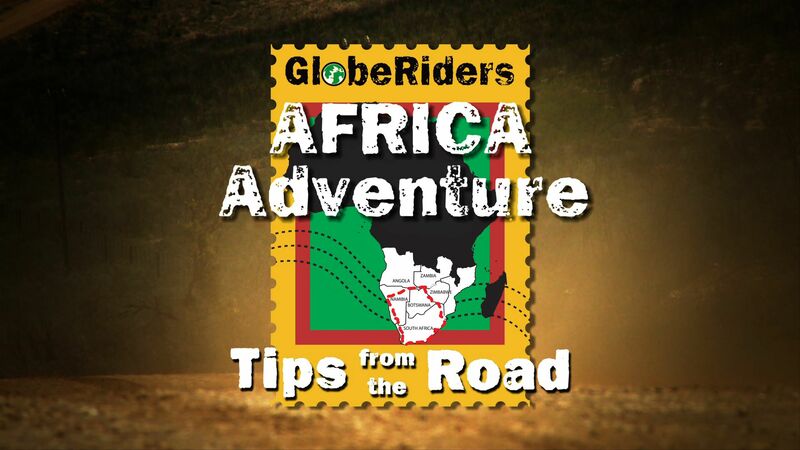 In this installment of GlobeRiders "Tips From The Road," Helge talks about repairing a damaged steering head bearing on a BMW F800GS while riding through Africa. 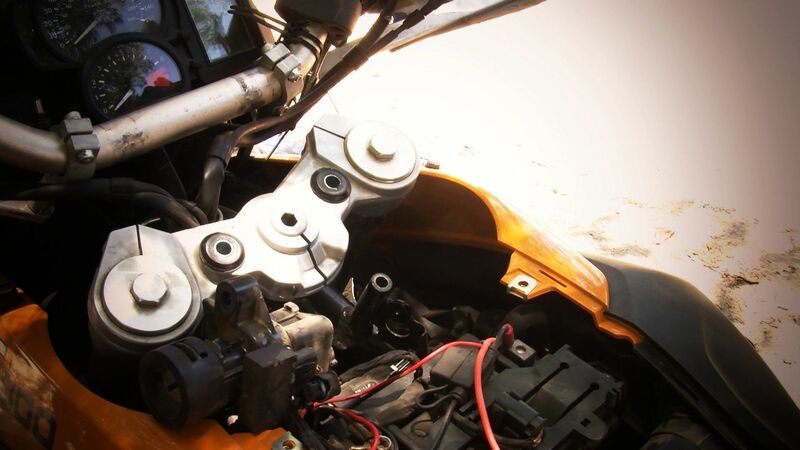 A damaged steering head bearing will make itself known by a change in the bike’s handling, a different "feel" or sound coming from the front end, and the steering in particular. 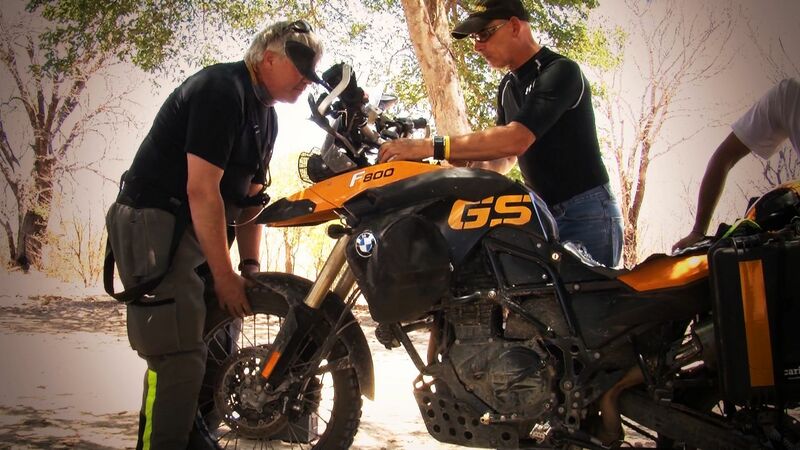 While in Namibia on the way to Rundu on a long straight road, David mentioned that at speed he was getting a little vagueness in the front end and that’s very indicative of loose steering head bearings. If you hear things like that, it’s a great idea to pull over. 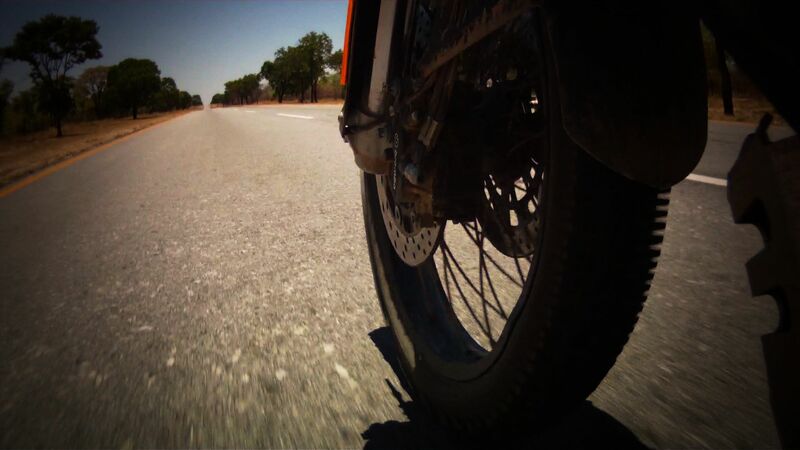 With the bike on the center stand and weight off the rear wheel, pull the front forks forward and look for any play in the forks, indicating a damaged steering head bearing. We disassembled the handlebars and the ignition switch. David had a steering damper on the handlebars so we had to take that off, which had some interesting safety screws on it so we improvised and used some vice grips, which are very handy tools to have in your tool kit. Once we loosened up the pinch bolt in the top clamp, we reset the compression bolt on the head stock which will put pressure onto the top bearing and hopefully take the slop out of the front end. We didn’t have a M-10 allen wrench that goes into the compression bolt so we used a 55 torx driver which is the same dimensions as an M-10 allen. After you lightly tighten the bolt, if there is still some play in the front forks you’ll want to continue to tighten the bolt a little bit at a time. Once you’ve tightened the bolt to where there is no more play in the front fork, you’ll want to make sure not to put any more tension on it, because that over tensions the bearings and is just as bad as them being too loose. Once you’ve taken the slop out and set proper tension, you’ll want to rotate the front wheel side to side so you can see if there is any roughness in the bearings. That will tell you whether or not the bearings have started to disintegrate. If that’s the case you need to get somewhere where you can get replacement bearings very soon because they’re not going to heal themselves. They’ll continue to erode as you go, even if you’ve reset the tension on them. But at least having the proper tension will get you somewhere down the road. Better than sitting out in the middle of nowhere.